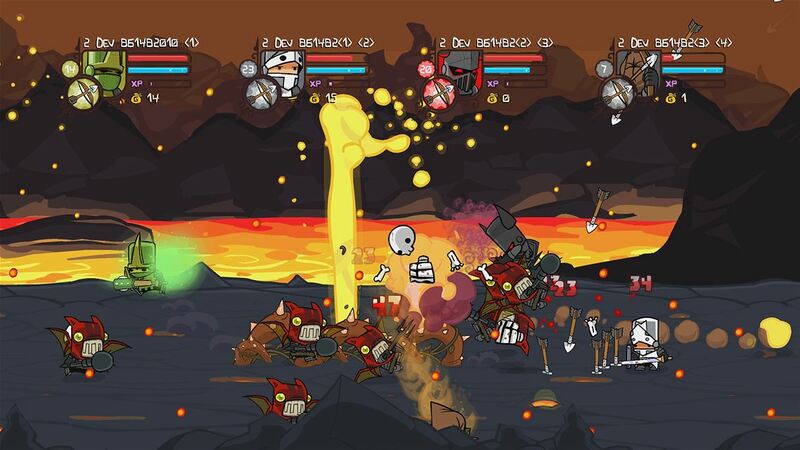 The Behemoth released its updated Castle Crashers Remastered on Xbox One as it comes complete with updated visuals and smooth running 60 frames per second gameplay. The game costs £11.99 on the Xbox One and ultimately means gamers can upload their save data from the Xbox 360 version into this game so as not to have to start all over again. Early adopters who owned the Xbox 360 version which released way back in 2008 could get this new game for free although as of now the time frame to do so has expired. So, as a newcomer into the fold is the £12 investment worthwhile? The side scrolling hack and slash beat em up gameplay remains the same here as the original release except it’s obviously much smoother this time. 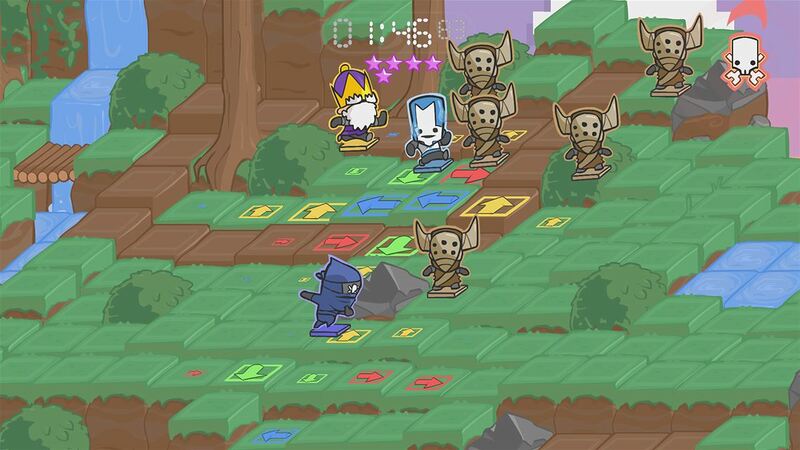 It’s a fun and compelling game for short bursts but does feel repetitive after prolonged play across its many levels. 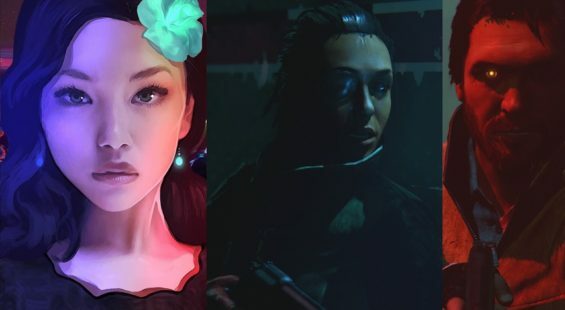 You’ll encounter a steady stream of foes and bosses to beat down with a huge variety of weapons and what really makes the game neat is how each of the 25 odd characters has their own style of play. Gamers can adopt defensive moves, magic attacks, ranged or swift melee attacks using combos – more of which are unlocked as you level up. It’s a long haul to reach high levels unless you use some advanced tactics which utilize the levelling up system. 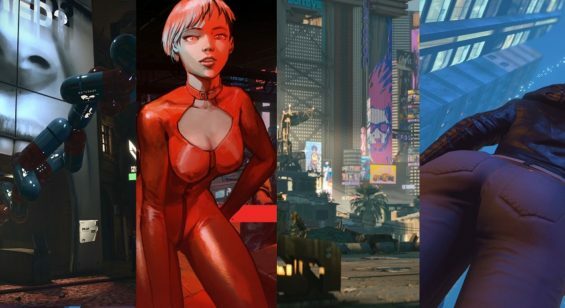 There’s really little more to describe the “Streets of Rage” style gameplay here as you basically move across themed levels performing the same tasks over and over. Visually the game’s colourful hand drawn images are cheery and accomplished offering much personality despite lacking in overall detail. There’s little to fault with the presentation aside from a lack of spoken word and perhaps some music which can begin to grate after a while. As mentioned, this is a game which players can sink many hours into in the quest to unlock more weapons, companions and the 20 additional characters. 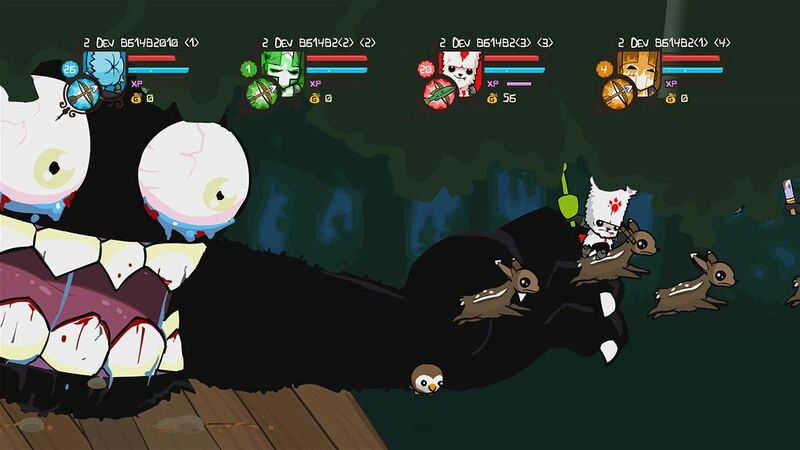 There’s also an online mode where players can team up or go head to head with like-minded crashers or if online isn’t your thing then local co-op is also an option. It seems Behemoth has got all bases covered here. 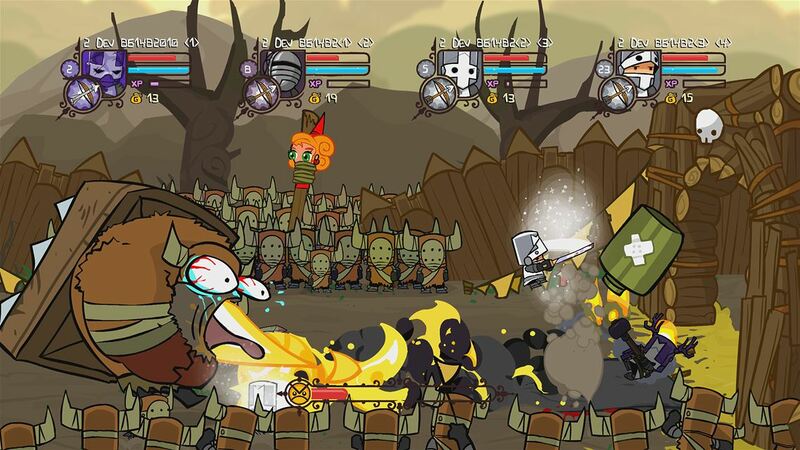 Aside from ploughing through the Castle Crashers adventure, players can also duke it out in various arena settings which is more of the same but enclosed in a set area. Leader boards are on offer too for comparison with the wider world and obviously bragging rights. There’s a new mode for this version which is a puzzling Back off Barbarian which has you pressing colour corresponding buttons which translate into changed directions whilst avoiding getting attacked by the enemy. 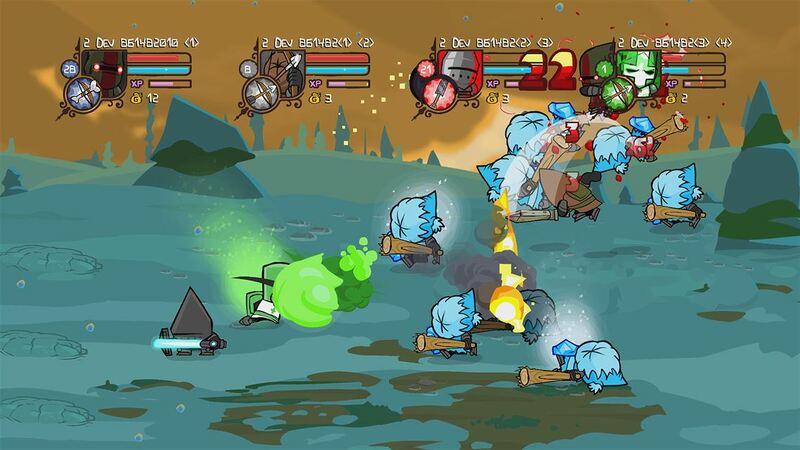 If you weren’t captivated by the original release in 2008 and feel like some mindless hack and slash gaming then Castle Crashers Remastered is well worth checking out. It’s mildly addictive, has some cute visual qualities and can be dipped into a little or a lot, take your pick. It’s not the most complex of games and therefore is easy to get into although there’s some tough opponents the further you get into the game which might cause some welcome frustration, but because of an addicting one more go factor means you’ll most likely be coming back for more until its done.